The European Committee for Professional Yachting (ECPY) is organising a yacht Open House and Networking Day in Nice, France, on May 15th from 11am. 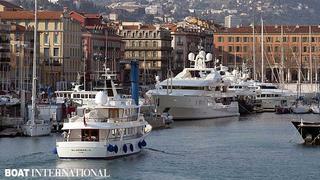 Forty-three yachts are expected and will be on display in the port’s Quai de Commerce while up to 11 suppliers, all ECPY members, will be presenting their products and services. ECPY President, Thierry Voisin, will chair a conference on VAT in Europe with Alessandro Mazzoni at 11:30 am.